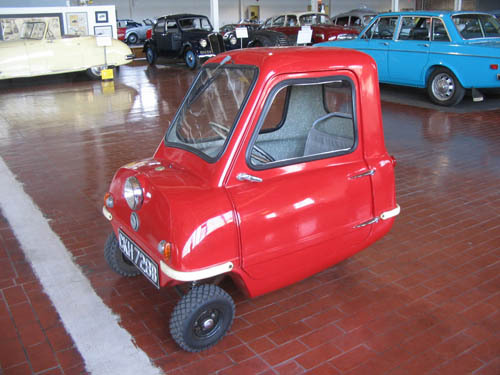 The main business of Peel Engineering Company, located on the Isle of Man, was making fiberglass molds for motorcycle fairings and boat hulls. 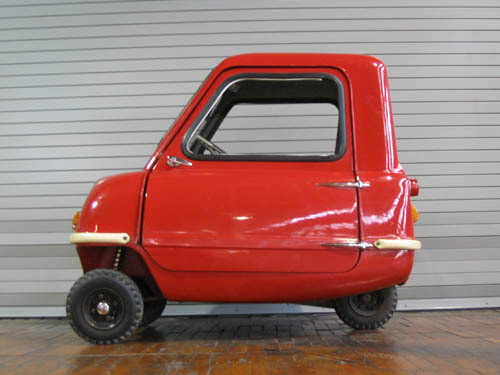 In 1955, the company entered the car market. 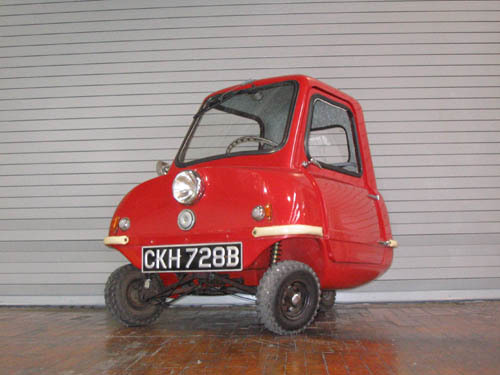 Peel is most famous for the P50–introduced in 1962 and certainly the world’s smallest ever passenger car. 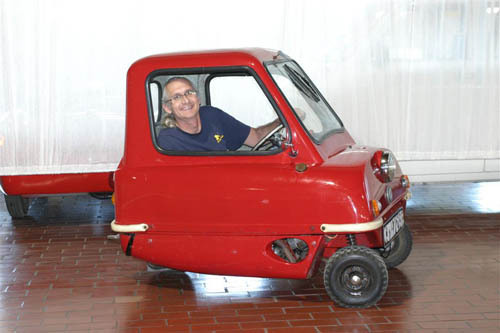 In Peel’s literature, it stated that the cars were 4'5" long, 3'3" wide, 4' high, and weighed a mere 250 pounds. 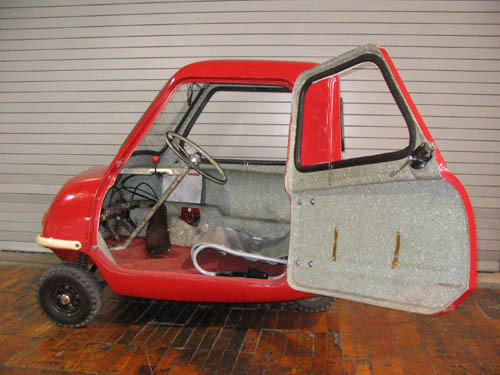 As you can see, it is essentially a single seat surrounded by a one-piece fiberglass shell incorporating a single front headlight. 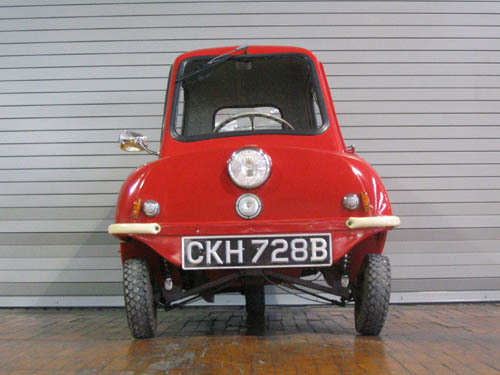 Each P50 was hand-built and finished so every example is slightly different. 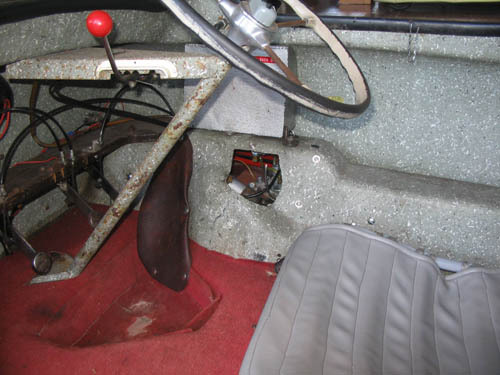 The P50 has no reverse gear but rather a “reversing handle” fitted at the back. 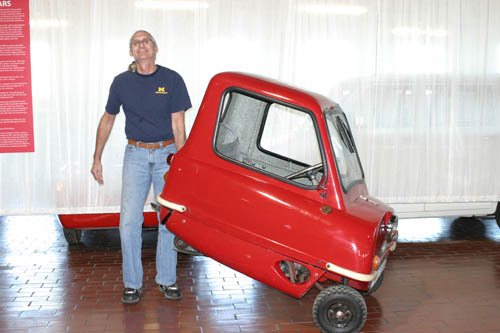 Since the car is so light, the driver simply picked up the back end and moved the car into the desired position.